It is almost like getting 2 awards for the price of one with this unique special edition soccer award. 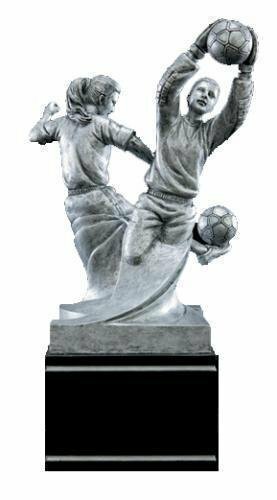 What makes these awards different is that it actually has 2 different soccer poses on either side of the award. The first soccer player is the goalie with her arms raised high and grabbing the ball with her gloved hands stopping the goal. The second soccer player is shown in action with the soccer ball on her foot ready to make that goal. 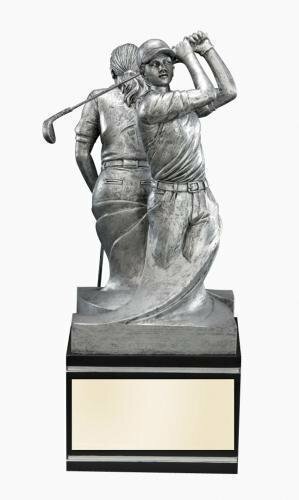 Standing 8 1/2" tall this award has plenty of room for any of your personalization needs. It is almost like getting 2 awards for the price of one with this unique special edition soccer award. 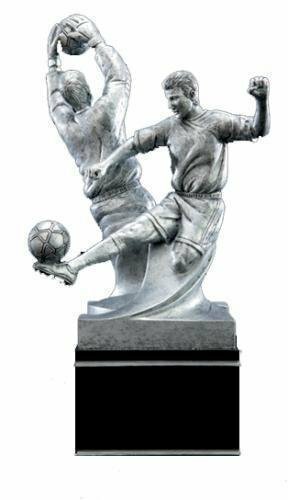 What makes these awards different is that it actually has 2 different soccer poses on either side of the award. The first soccer player is the goalie with her arms raised high and grabbing the ball with his gloved hands stopping the goal. The second soccer player is shown in action with the soccer ball on his foot ready to make that goal. 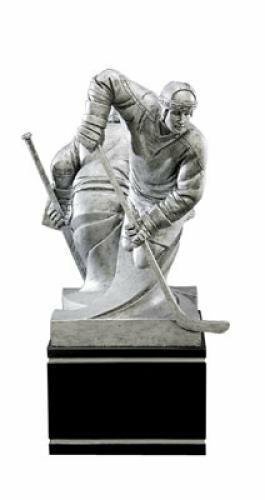 Standing 8 1/2" tall this award has plenty of room for any of your personalization needs.